This has been a great build. This is the first PC I've done for myself in around 10 years - lots of fun. This machine will be general use and gaming for the family. The build went smoothly, without any significant issues. Cable management and routing in this case are excellent. I didn't have to purchase any extensions to get everything connected. The MasterLiquid 240 is pretty decent. There's been a bit of water noise coming from the pump - something I'm going to have to keep an eye on. If it doesn't resolve in a few days, I'll RMA it. Other than that it's working well. Update: I replaced the fans with a pair of Noctua NF-F12 PWM chromax black. Idle temperatures have dropped and there's no more irritating mechanical sound. Very happy with the performance of the SSD drives. I didn't go with an NVMe M.2 because the non-benchmark performance just isn't worth it IMHO. The OS is installed on the M.2 and apps and games on the 2.5". The memory is on the QVL for the X470-Pro, however, I was unable to get the machine to POST with D.O.C.P enabled, nor was I able to manually get the RAM to 3000mhz - the best I could manage was 2800. That was until I put the RAM in slots A2 and B2 instead of A1 and B1. With the RAM in A2, B2 the board posted fine with D.O.C.P enabled, the RAM is running fine at 3000mhz. So far, mostly good. Some water noise from the pump which has decreased significantly in the first few days. Love the size of this card. Very easy to install, pretty quiet. Excellent cable management, tempered glass is amazing. Overall build quality is fantastic. Super quiet, great cable lengths. Every time I want to purchase Noctua fans I cringe at the price. After I install them an can hear the difference, I never regret it. Hey, thanks! I appreciate you mentioning the lite variant as well, I've seen lots of posts in various forums about the water noise with this cooler as well. It has significantly decreased now, so I'm not going to bother with an RMA. A note on the MaterLiquid 240 - I'm really not happy with the fan noise. It's not the sound of air movement, it's a whirring noise that changes pitch as the fans change rpm. Even with the fans moving between low to mid-range rpm it's irritating. I've ordered a pair of Noctua FN-F12 PWM chromax to try and resolve this issue. Why didn't you put the M.2 in the slot with the Heat Sink since you only have one? Ah I see. Nothing wrong with that, was just curious. 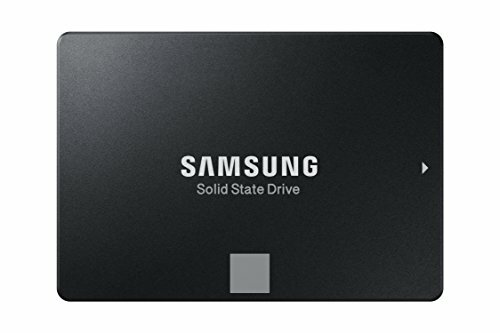 :) I'm wondering...are both M2 slots NVMe compatible or just the top one? I was originally going for an Intel but as a Brand new Streamer with two monitors, I need a better Multitasker....Ryzen. Both M.2 sockets will support NVMe as long as the PCIe x1 slots 1 and 3 are empty. The M.2 socket shares PCIe clock with PCIe x1_1. If you plug a card in PCIe x1_1 or x1_3 you can only use SATA mode for the M.2 socket. The biggest difference is the M.2 slot under the heat sink will support 22110 cards. I was going to get the TG R6 but decided I don't want no glare either from my two Monitors. My current Case is the R5. 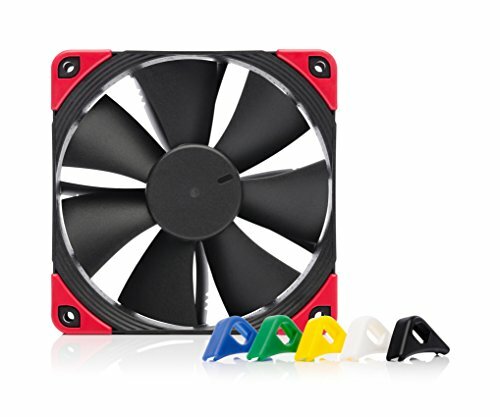 My main concern is the Cryorig H7 Cooler. it appears I have to order the Bracket for it AFTER I get it. Been using the Evo 212 forever, I want to see what the Cryorig is all about. I will NEVER consider Water Cooling. No matter what people say. I believe in Murphy's Law and I will not risk that Law on my PC. You'll definitely be able to run the NVMe in the M.2_1 slot and the EVO 850 in M.2_2 and have them running to their potential. I debated air cooling a lot for this build. I've had various water coolers for over 10 years without issue, but I completely understand the hesitation. For the Cryorig H7, it looks like they have been shipping with AM4 compatible backplates recently http://www.cryorig.com/getam4.php. So if you're not ordering until the fall, I'd bet you'll get one that supports AM4 out of the box! how loud is that 1070ti? It's not racist. It's just a colour for a pc and not anything else. I think because he wouldn't have to buy or borrow another processor in order to update the BIOS to support the new chip. Yes, that and I wanted to keep components in the same generation if that makes sense.